EXCLUSIVE! Because the hardest-working paper in your house deserves its own residence. 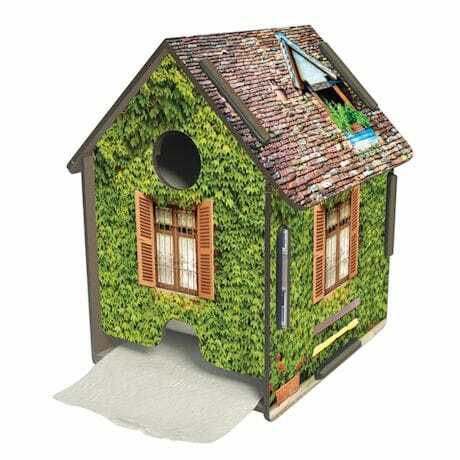 Designed like a cute ivy-covered cottage, this toilet paper cover is made of wipe-clean laminated wood fiberboard; finely detailed touches like the circle window and teeny curtains make it a miniature marvel. Holds one standard TP roll. 7"H x 5¾" square.